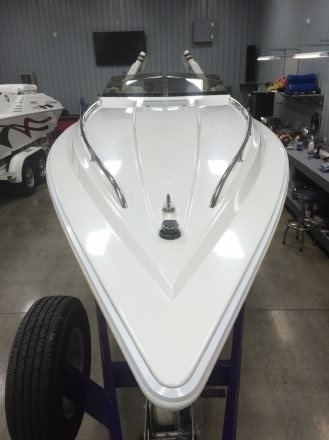 This Fresh water 1999 / 2017 Totally refitted 35 Fountain was taken on as a winter project in 2017 by Bullet Engines. 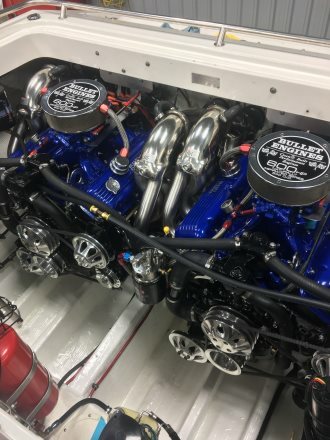 Boat was upgraded with custom built Bullet 540cid 600hp marine engines. 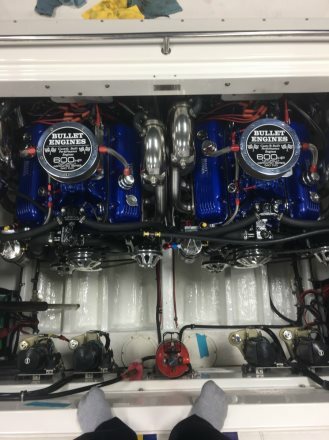 Fully refreshed both marine engines, from top to bottom. 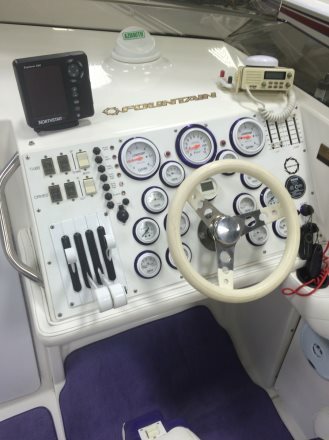 Comes with upgraded CMI tube headers with silent choice system. 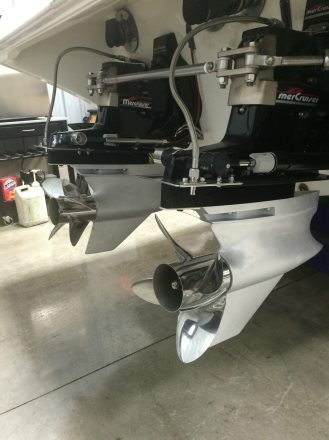 Upgraded hi performance Imco lower units with Bravo XR shafts, just serviced fresh mercury gear lube. 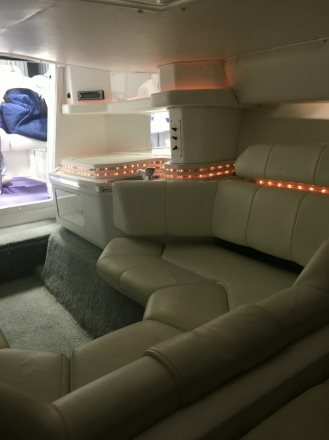 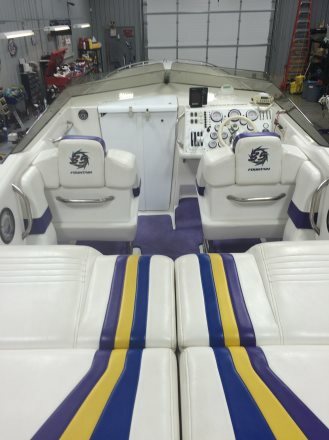 Mercury 4 blade Bravo Propellers, Livorsi gauges and Bezzels, VHF radio, Clarion marine stereo system, Latham full hydraulic steering system, Hi perf K-planes trim tabs, Beautiful cuddy cabin and all interior is in like new condition. 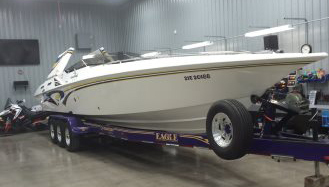 Engine compartment spotless like new condition, Eagle triple axle trailer custom painted to match boat upgraded with aluminum mag wheels. 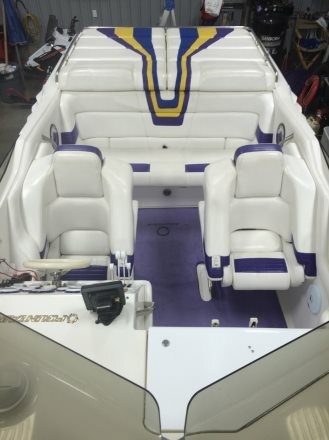 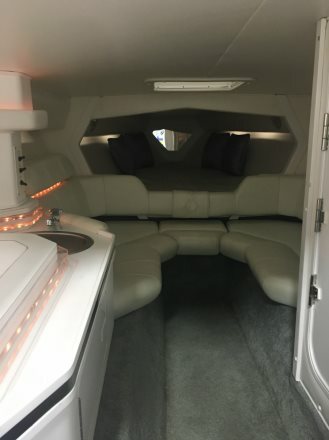 With the amount of upgrades that have been performed and money invested, this boat truly stands out from all the rest at a great price to sell in showroom condition top to bottom.